A rocket launched from Gaza struck an Israeli home in central Israel and wounded 7. (Image sources: IDF/Twitter). 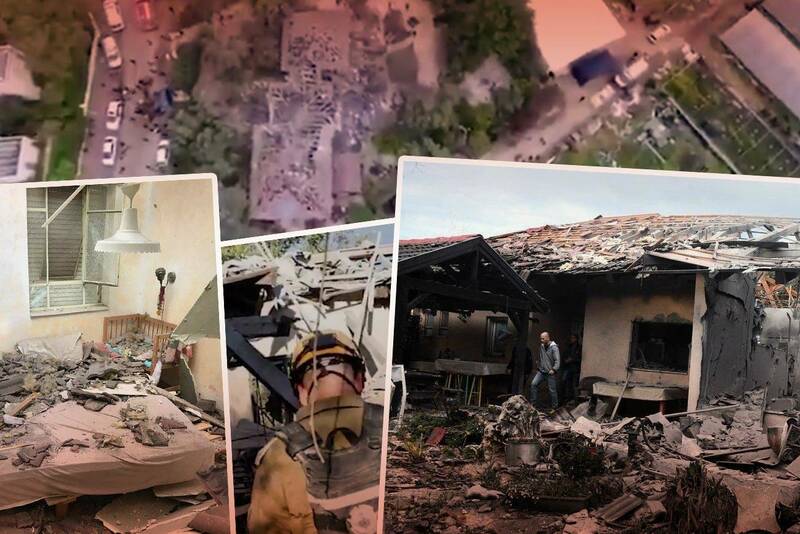 A Hamas rocket destroyed a home and wounded seven Israelis sparking off a tense week of violence. Plus, the Gaza border protests hit the 1-year milestone, and the Sea of Galilee water level rises above the lower red line. A Hamas rocket fired from the Gaza Strip struck a home in central Israel last week destroying a house and injuring seven inside including two children and an infant. 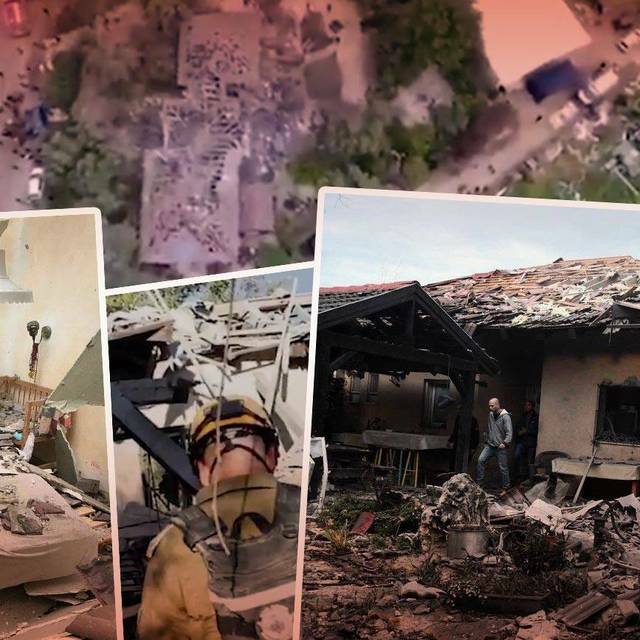 The March 25 attack triggered Code Red rocket sirens around 5:20 a.m. and a loud explosion was heard when the rocket struck the home in the Mishmeret community. All the wounded were evacuated to the hospital suffering from shrapnel wounds, burns, and other injuries according to the Jerusalem Post. Footage from first responders shows the devastating scale of the strike. Only the husk of the house remains standing in a rubble-filled yard. Miraculously, nobody was killed in the attack, but other neighbors were treated for shock, and four dogs were found dead at the site. Hamas leadership quickly claimed that Hamas operatives accidentally launched the long-range J-80 rocket, but the swift Israeli response still led Hamas to evacuate positions across Gaza. The IDF did strike Hamas targets in Gaza including what the army called Hamas’ secret military intelligence HQ in Gaza. That clash sparked a week of rocket salvos and retaliatory IDF strikes. On Monday, three Israeli homes were hit by Hamas rockets, including the one that injured seven people. On Tuesday and Wednesday, rocket salvos from Gaza repeatedly sent thousands of Israelis scrambling for air raid shelters. Despite continuing to engage in hostilities, Hamas holds to their claim that the rocket strike that hit a home was a mistake. This isn’t the only allegedly accidental rocket launch in recent weeks. This rocket attack came only ten days after two Hamas rockets were fired at Tel Aviv, the first time since the 2014 war. The Israeli army struck back at one hundred targets across the Gaza Strip after that incident. Even as violence escalated last week, Hamas and Israel reportedly agreed to a calm in order to pursue a more lasting truce via Egyptian mediators, according to Reuters. Israel, however, did not confirm that this was the case, and even as Palestinian factions announced that a cease-fire had been reached, a new volley of rockets was unleashed at Israel followed by Israeli strikes. The weekly clashes at the Gaza border between Israeli security forces and often-violent protestors reached a milestone this weekend marking one year of bloody standoffs every weekend that have left hundreds dead and caused irreparable damage. Starting with the Hamas-led Land Day and shortly after that the Great March of Return demonstrations exactly one year ago, the Gaza border protests have seen thousands of injuries, the development of tactics ingeniously difficult to counter such as incendiary balloons, and deaths on both sides. In Gaza, the high toll on the civilian population continually encouraged to the fence while suffering under deep economic depression has led to unrest against Hamas leadership. In Israel, the government’s difficulty in quelling the Gaza protests and securing the southern border led to a political crisis that cost the ruling coalition their hold and triggered early elections. The crisis has pushed Israel and Hamas to the brink of war several times. Last weekend, around 40,000 Gazans gathered to protest. Most protestors kept their distance from the fence, but small groups approached to throw rocks and explosives, according to the Associated Press. The army said two young Palestinian children were caught trying to cross the border with a knife. The IDF returned the kids to Gaza through a border crossing. Four Palestinians, including three teenagers, were shot dead and dozens were wounded by Israeli soldiers according to the Hamas-run Gaza Health Ministry. Gushes of rain in February and March have raised the Sea of Galilee’s water level to just above the lower red line, the highest in two years. A 1.87-meter (approximately six feet) rise in water level since the start of the rainy season is not only impressive, but also desperately needed for Israel and the Galilee region to fight against the damage of a five-year drought that had sunk the Sea of Galilee to its lowest point in seventeen years causing irreparable ecological damage. The drought also is pushing Israel’s water production to the limit as aquifers run low and desalination plants struggle to keep up. The rise in water levels across Israel is due to unexpectedly heavy and sudden rainfall—Jerusalem got 110 millimeters of rain in forty-eight hours at one point, around a fifth of its annual average rainfall according to Ha’aretz. The burst of rain and rising water levels is a good sign and a welcome respite for a thirsty land, but it doesn’t mean the drought is over yet. Water levels in the Sea of Galilee still need to rise another nearly four meters (approximately thirteen feet) just to reach the upper red line. The rainfall from this rainy season so far has been inconsistent and irregular, dumping large amounts in short periods of time resulting in flooding. The Israel Water Authority is encouraged by the wetter-than-average winter, but deficits remain. “The Kinneret (lake) has risen beautifully in the past few days, and we are very heartened, although we still have to consider the deficit that remains,” Uri Schorr, the head of the Water Authority, told the Times of Israel. Last year, the region experienced the worst drought year in one hundred years.